Do you need to safeguard something of value? 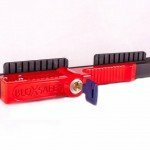 Weighing less than a pair of boots, or a bottle from the Duty Free, BloXsafe is a patented conveniently portable locking device which can be used to secure hotel safes, or fitted to make drawers, cupboards, lockers or filing cabinets more secure. It can also be used as an additional layer of security in vulnerable public locations where materials must be kept securely locked away, such as in schools, universities, hospitals, clinics, shops, offices, sports and leisure centres, cruise ships, and even concert halls to lock musical instruments – new applications come to our attention every day. Please share your ideas with us. The device folds flat into a convenient drawstring carrying bag. Travellers may slip it into their hand luggage like a folded telescopic umbrella, or it can be stored in a drawer or carrying case until needed. It takes seconds to assemble and remove, maximising the likelihood of use (yes, we all remember buying fiddly time-consuming “solutions” which seemed a good idea at the time, but never got used). 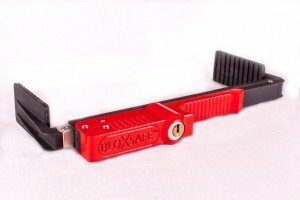 Invented by a security expert who identified an urgent need in the market, BloXsafe is secured by an integral patented MultiLock, supplied with a unique personal security card so only you can ever copy the key. 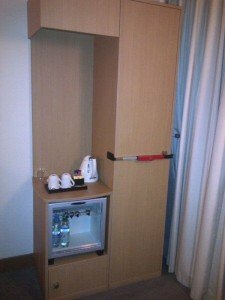 Recommended by international security experts, it offers an additional layer of security to hotel safes, where others may also have access. 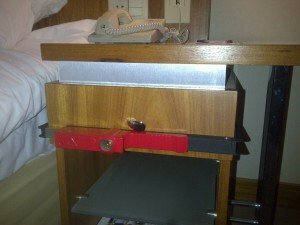 For maximum flexibility where a safe is not available, the device enables you to convert a suitable drawer or cupboard into secure storage. It will be obvious to you if anyone has tampered with BloXsafe. This is particularly relevant if you have sensitive material which may be removed and copied, with the intent of returning it so you would not know. With a BloXsafe you will. 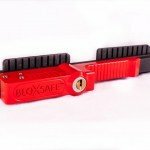 Designed and Made in England, BloXsafe Executive Model is constructed from strenuously tested components. We invite you to join the world-wide community of BloXsafe users, and to share your experiences with us below.